Hardly has the din in the election fray subsided, and the internecine squabbles in the Congress are assuming feverish pitch once again. Dissident activity against Tamil Nadu Congress Committee (TNCC) president K.V. Thangkabalu is on the rise, with partymen burning effigies of the State unit leader or holding other sorts of protest almost every day. Two such incidents took place in Chennai itself on Saturday and Sunday. However, party sources, who request anonymity, say the clamour for the replacement of Mr. Thangkabalu is “nothing unusual”; nor is groupism in the party a new phenomenon. The shrill voices first heard in the political horizon just ahead of the elections to the Tamil Nadu Assembly held on April 13, especially with regard to selection of candidates, have started becoming louder. 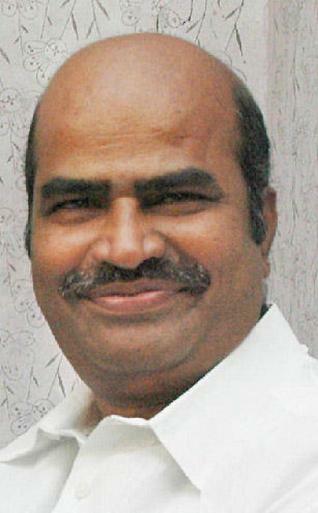 Sathyamurthy Bhavan, the party headquarters, now reverberates with a variety of epithets, for and against Mr. Thangkabalu. The sources said dissidence against the State unit chief was a customary feature over the past three decades. For instance, even stalwarts like G.K. Moopanar, M.P. Subramaniam, Vazhappadi K. Ramamurthi and Kumari Ananthan faced a similar situation once they were elected/ nominated president of the State unit. The plight of later TNCC presidents like E.V.K.S. Elangovan, Tindivanam K. Ramamurthi and also G.K. Vasan was no better. An interesting aspect is that all the groups would bury the hatchet and join hands to topple the new man who assumes charge as the State unit chief. “The honeymoon period is rarely beyond a few days,” the sources added. Besides, Karate Thiagarajan, former Deputy Mayor of Chennai Municipal Corporation, and S.Ve. Shekher, sitting MLA of Mylapore, who have been expelled by Mr. Thangkabalu recently, are said to belong to two different groups. All the protests against Mr. Thangkabalu for the past more than a fortnight are attributed to Mr. Thiagarajan, as he was a strong contender for the Mylapore seat with the backing of a Union Minister. The seat, however, initially went to Ms. Jayanthi Thangkabalu, and ultimately to Mr. Thangkabalu himself due to “certain technical glitches” in the nomination papers filed by his wife. Quoting sections of the party constitution, he contended that only a disciplinary committee, either at the State or national level, could initiate any disciplinary action. However, now that the party media department chairman Janardhan Dwivedi has joined the fray saying the State unit presidents are empowered to initiate disciplinary action depending upon the exigencies, it is slowly becoming a “no-holds-barred” battle requiring the high command's immediate attention.